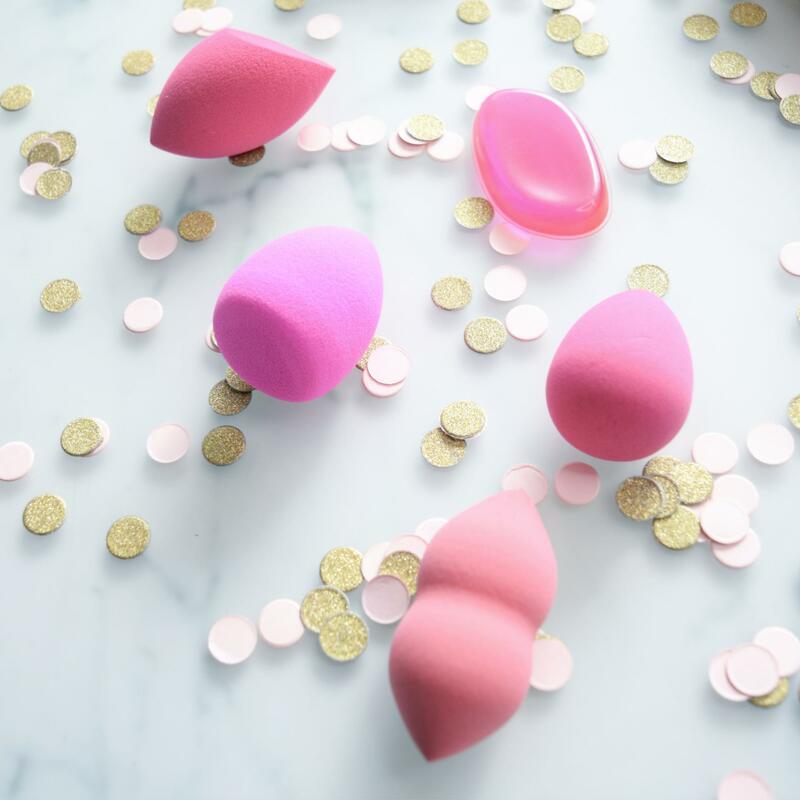 If you’re looking for Cheap Beauty Blender Alternatives then this is the blog post for you. I have used a beauty blender for ages. But they are so expensive! I decided to try and find some lower cost alternatives, and test them all out to see whether they were any good or not. I’ve tested them out so you don’t have to, so I hope this helps you out. I found all but one of them were great which is awesome news for some savvy money saving. This sponge looks and behaves pretty much comparably to the genuine beauty blender, so much so that I genuinely can’t spot the difference between this and my actual beauty blender. It’s very soft and expands when damp just like the original. It applies liquid foundation and loose powder like a dream to give a flawless base. This is a great option for anyone who doesn’t want to pay the £16 for the original beauty blender and is a total dupe. I have to say however as much as I love it I do prefer the other Blank Canvas sponge, reviewed below, which is even better! This is by far my favourite purchase of everything I got to write this post. I have found this useful for two different reasons. Firstly, if you have the problem of when you blend your under eye concealer in it basically doesn’t cover the dark circle, this is awesome. You can blend the product everywhere you want it, without the sponge absorbing any product at all. Just gently patt into the skin and then either dab with your ring finger or use a different sponge for 1 or 2 tiny dabs and your concealer is blended but still covers the dark circle. Secondly, this is perfect for using with a cushion foundation. I always find that the sponge with my cushion foundation eats half the product! This grabs all of the product with no wastage at all. If you have either of those two problems then definitely grab one of these bargain sponges. If you just want to apply liquid foundation then no, I don’t think this would be for you. This was just a big fat no from me. This was the only item I wasn’t too impressed with. It’s still quite hard even when damp and you can’t get that bouncing motion to really blend your base in flawlessly. When dry it’s so solid it can’t really apply anything. Definitely not for me, so unless you have a face of iron, perhaps one to avoid! I am not 100% sure if this is a real beauty blender, a fake beauty blender or just a lookalike cheap beauty blender alternative. However it feels and performs exactly the same as my actual beauty blender but I think the base is a tad more flat? And it’s £3.99! It did take a week or so to arrive but I wasn’t complaining when I did as it’s great! It applies makeup really well especially when dry to apply HD pressed powder to chin, nose and forehead. That being said I still have to say I prefer the Blank Canvas pear shape sponge. But this is definitely on par with an actual beauty blender branded sponge. This sponge is brilliant for foundation as the dent in the middle means it doesn’t slip out of your hand. It’s very squidgy and when used damp it gives a really good foundation and concealer application. It’s really easy to blend under eye concealer with this sponge. Due to the fairly pointed end so you can get in close without poking yourself in the eye. Overall my favourite out of the two Blank Canvas sponges I tried and a great price for the product. So those are all the sponges I tested out. I hope this saves you some money if you are looking for some cheap beauty blender alternatives! Let me know what your favourite cheap makeup sponge is!